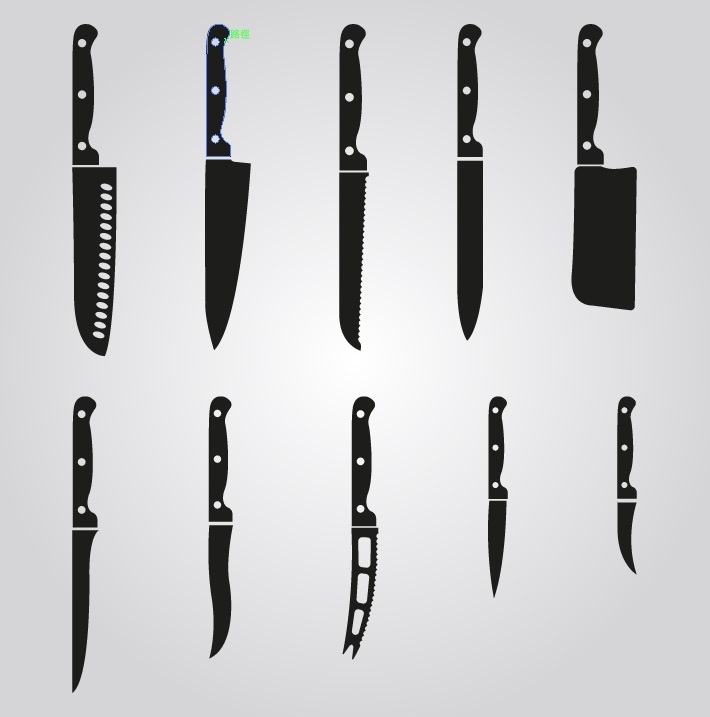 Are you ever puzzled by the wide array of Japanese knives (包丁or Hōchō) available on the market and what the name means? In contrast to the durability of everyday German knives, Japanese knives are known for their sharpness and design. Four main distinguishing features in Japanese knives are the handle, blade edge, blade material and construction, which we will delve into deeper detail in another article. With everyone becoming more environmentally conscious, we are seeing banning and retirement of single-use plastic straw across various countries and communities beginning to ban plastic straw use. A wide variety of kitchen tools exist for helping you with your everyday kitchen needs. With a wide plethora of kitchen tools available on the market, we can break them down into 3 main categories. These products are mainly used in the cooking process and assist in turning, flipping, moving, stabilizing, tossing and stirring the food. Examples include stirring spoon, large ladle, flipper, tongs, etc. These are used primarily in baked goods. They can be used to prep bakery and food and/or also be used in and after the baking process. They are primarily used for measuring, sifting, mixing, slice and cutting the food. Examples include measuring spoon, whisk, turner, tongs, spatula, etc. These are special tools that typically serve a specific purpose. They come in a wide variety of looks and are used for measuring and prepping the food prior to cooking. Examples include potato masher, grater, peeler, apple corer, garlic press, can opener etc. The above is a general guideline on how these kitchen tools and utensils may be used and they may be used interchangeably for different purposes. For more information, please check our kitchen tools and consult one of our specialists. Do you ever wonder where all the tableware utensils should be placed on a dining table? Whether you are a restaurant owner, hotel manager, or a catering company, it is essential to follow the dining etiquette to ensure the best presentation and comfort for your guest. 1. All tableware utensils are placed on the table in the order of use. Ones that are used first are placed on the outermost, while those used last are closest to the plate. 2. Most knife and spoon are placed on the right side of the plate, as most people are right-handed. Unless otherwise specified, this should be the norm. 3. The utensils are lined up horizontally with the plate, with about an inch gap from the table edge. 4. The utensils closest to the main plate or bowl should be about an inch away. 5. Oils from the fingers must be avoided at all cost. Gloves should be worn or held on the waist of the utensil (between the handle and the eating end) so the effects of fingerprint will be minimal. 6. Fork prongs may be placed upward or downward. Downward is more common in Europe, while upward is more common in US. 3-piece: This is the minimum number of utensils for eating a simple meal, consisting of dinner knife, dinner fork and teaspoon. 4-piece: Four pieces contain the above with an additional salad fork which can also work as dessert fork. 5-piece: This contains the above with a soup spoon. This is often included when soup is present in the meal course. 6-piece: This consists of butter spreader, in addition to the above. This is ideal when butter is used for spreading onto bread. 7-piece: This has the above, including long iced tea spoon. This is commonly used in beverages, especially in hot and humid climate. Tea Spoon The teaspoon is a regular tableware utensil used in most traditional setting. The size is ideal for use in coffee, tea, desserts, cereal and soup. Dessert Spoon A dessert spoon is has similar size to a soup spoon, but with a more oval shaped bowl. It is a bit larger than teaspoon for scooping desserts. A tablespoon is a common staple for most traditional setting. Thanks to its large shape, the table spoon is mostly used as a serving utensil for bowls. Soup Spoon This spoon has a rounder and deeper bowl than a regular tablespoon to contain the liquid within. As the name states, this utensil is ideal for cereals, soup, or any liquid. Mocha Spoon A mocha spoon is a small shaped utensil used for stirring coffee. It is a little bit smaller than coffee spoon. Iced Tea Spoon The long handle of the spoon makes it ideal for stirring liquids in long glass or cup. Ice Cream Spoon A ice cream spoon is ideal for scooping small portion of ice cream. Table Fork Also known as dinner fork. This fork is almost seen in every traditional dinner setting. It is mostly used with main course. Variations may come in three-prong tips or four-prong tips. Dessert Fork A dessert fork is sometimes called salad fork, albeit true dessert fork being slightly smaller than salad fork. This fork is perfect for cutting and eat desserts like cake or pie. Fish Fork A fish fork is typically used alongside dinner fork for mealcourses involving fish. Cake Fork The cake fork is similar and sometimes used interchangeably with dessert fork. It is used for eating cakes. Table Knife The table knife, also known as dinner knife, is used in most traditional table setting. It is often placed on the right side of the dish, for cutting through tougher objects such as vegetables or meats. Fish Knife A fish knife is slightly smaller in size than its cousin, the dinner knife. It is used in conjunction with fish fork for cutting through fish. Fruit Knife The fruit knife is sometimes known as dessert knife. It is smaller and lighter than the table knife. It may be used together with dessert spoon or dessert fork, depending on the food. Steak Knife The steak knife has serrated blade that is suitable for cutting through steaks. Butter Spreader A butter spreader is the smallest knife typically. It has a round tip and a flat blade for spreading butter and other toppings. Knives come in many shapes and sizes. There are some that are used frequently, while others are used for specialized purpose. Utility knife: This is the also a verstile knife that is a bit smaller than the chef's knife. The slender profile makes it suitable for slicing throught meat. Santouku knife: This knife is the Japanese equivalent of Chef's knife. It combines the qualities of a meat cleaver and a chef's knife. Knives can be sharpened using a variety of methods. Two of the most commonly approach is using a steel sharpener or grindstone. If the knife starts to make screeching noise, please lighten the stroke. Repeat the above until the desired sharpness is achieved. Soak the grindstone in water for 20-30 minutes. Using a rougher grindstone first, run the blade along the stone back and forth for about ten times. If required, use a finer grindstone to achieve the desired sharpness. We will be exhibiting in the annual Chicago Houseware Show in Chicago, US and we will be showcasing new products and designs for the North American market. We will be exhibiting in the annual Ambiente Fair in Frankfurt, Germany and we will be showcasing new products and designs for the European market.